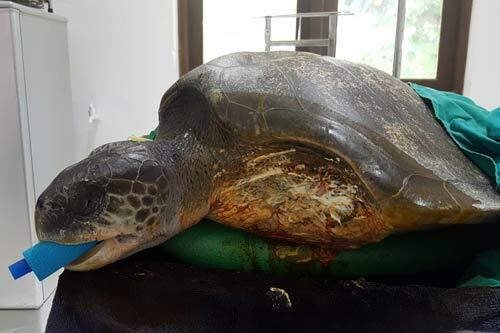 Coral was a juvenile olive ridley turtle. 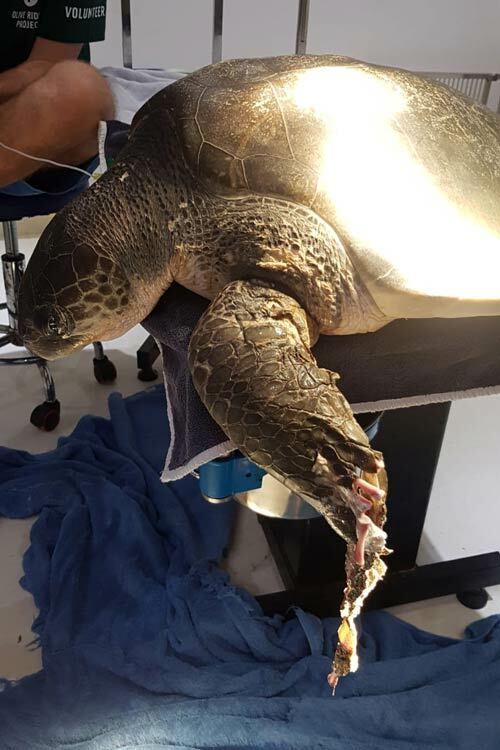 She arrived at the Rescue Centre by sea plane from Four Seasons Kuda Huraa in North Male Atoll with severe flipper injuries from ghost net entanglement. 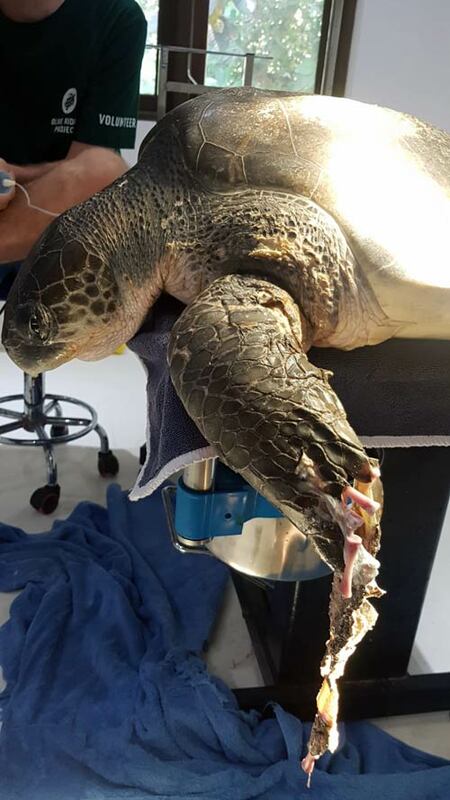 Coral’s front left flipper was rotting at the bottom when she arrived at the Rescue Centre. 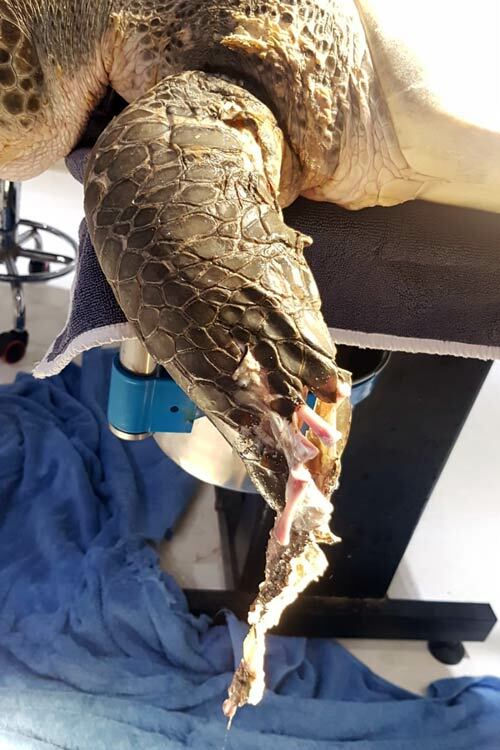 We performed surgery to amputate her flipper, however, her muscle and skin were very infected and we were unable to remove all of infected tissue. She recovered well from the surgery, but she was extremely lethargic and diet over night a few days later. On post mortem we found that she suffered from both an enlarged liver and an enlarged heart.